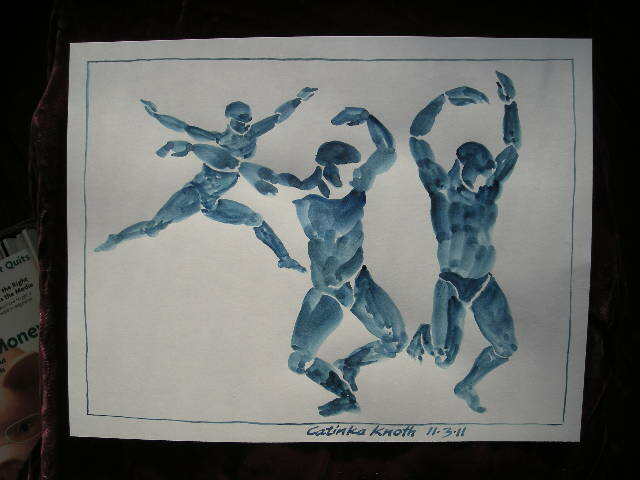 Dance figure inventions - quickie watercolor painted with Niji waterbrush and prussian blue, 4.25 x 5.5"
Halloween Skeleton Dance - figure sketch?! I realized the other day that I must start playing around with the figure. 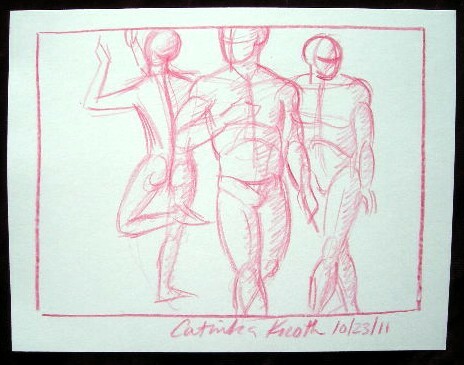 Working from life would be great if models could hold action poses long enough to draw them. Working from photos always seems to look like it is from a photo. Not sure how I will go about this. For now I will have to mess about with inventions. No idea where this may be going. These were done quickly on 1/4 sheet pieces of card stock in a variety of media - pencil, soft pencil, colored pencil, watercolor.